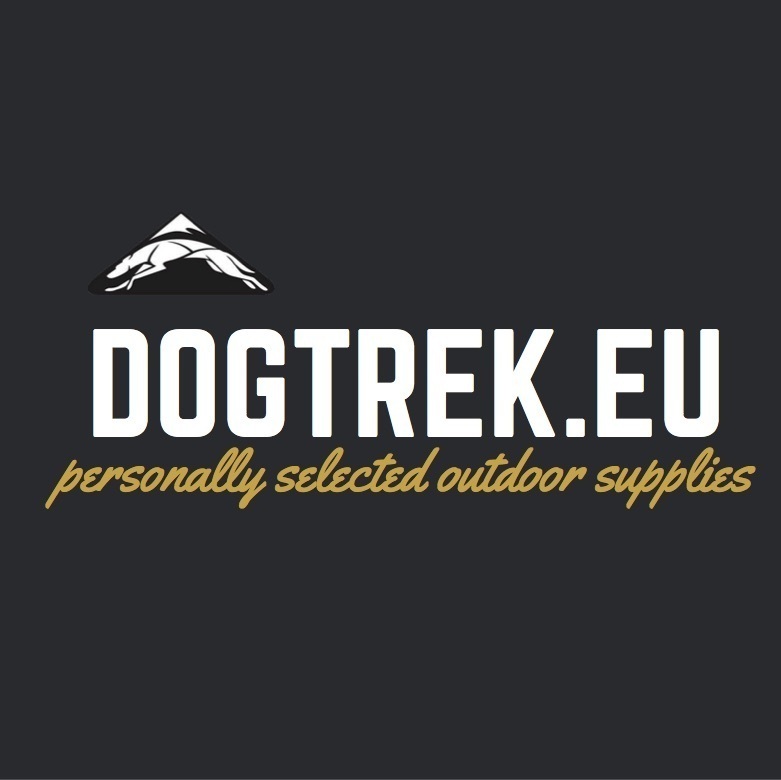 Dogtrekking is generally more at a walking pace, with a purpose of seeing nature, taking photos and spending time in nature with the company of a dog. 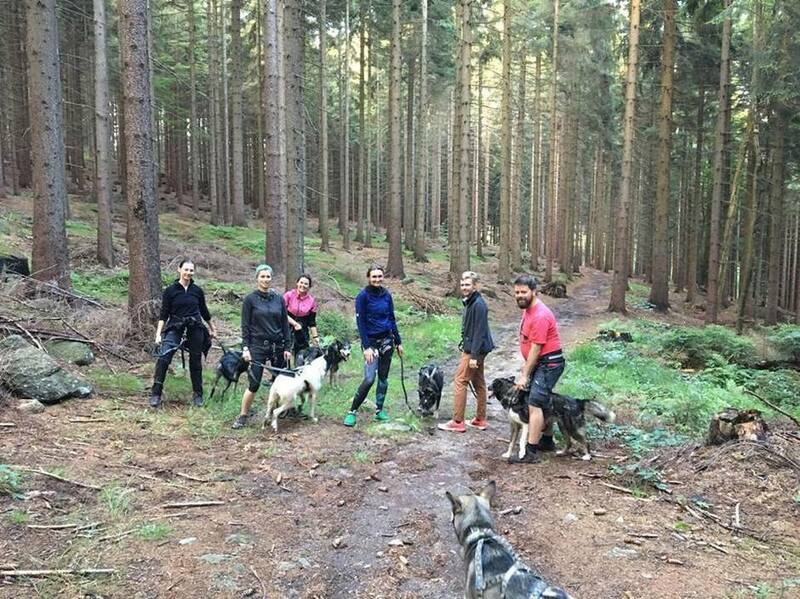 Additionally, if you are planning to go hiking, trekking or backpacking with your own dog, with the use of our equipment, available on the eshop, you can take your dog handsfree, which is much more comfortable than with a leash. 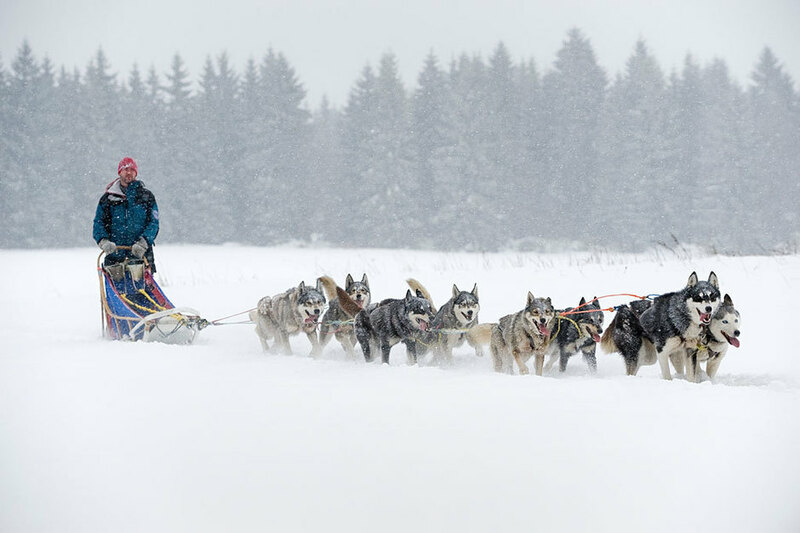 Your dog will help pull you which is a big help uphill. We have universal sizes of belts to fit customers, bungee leashes and harnesses, that is all you need. 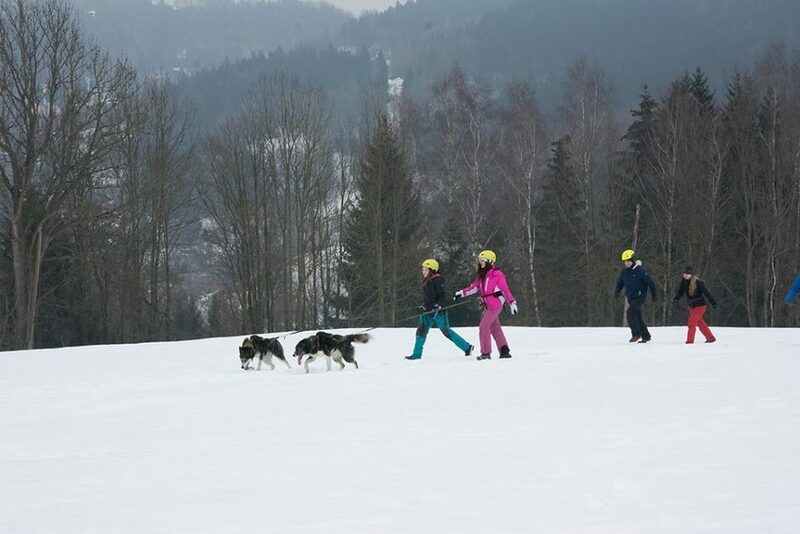 We have willing and friendly dogs to join you on our guided tours. 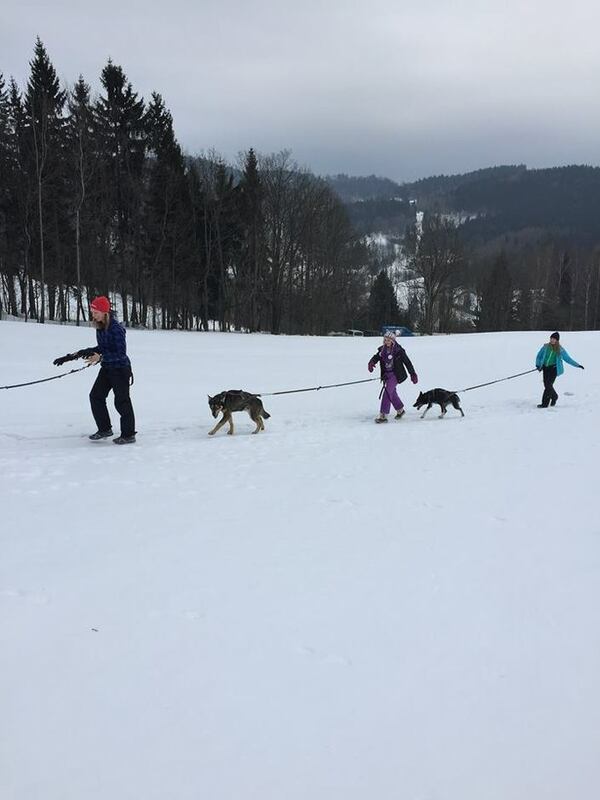 Cost is 500czk per dog for Dogtrekking. This includes use of the equipment and a guide. It is a great activity, suitable for all ages from approximately 10 years old and up. 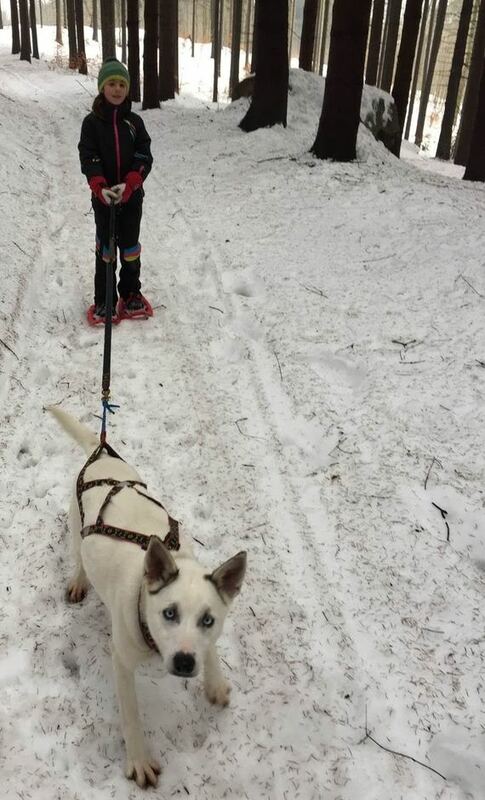 Smaller children can accompany but can't have their own dog. Perfect for individuals, families, and small groups. It can be done in all weather and all year in any season. 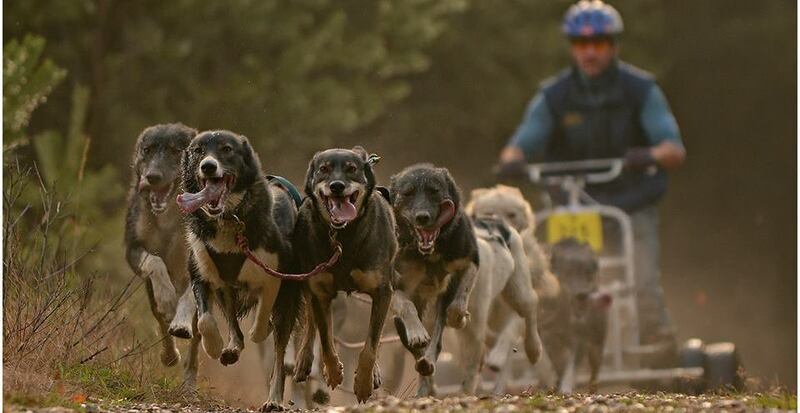 We generally won't go if it is raining heavily because the dogs don't enjoy that. 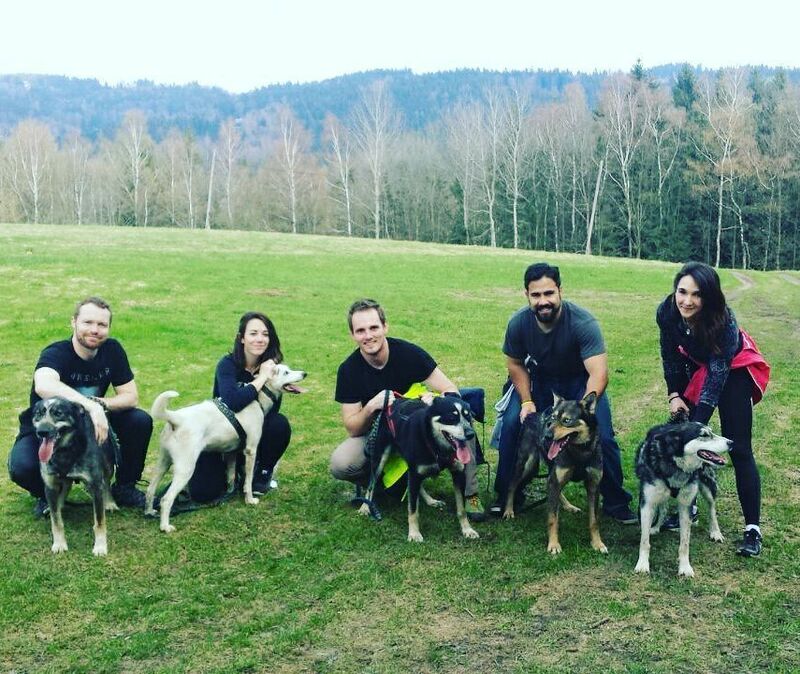 Make a reservation and come enjoy the great outdoors with a husky friend. The only thing you need to bring is a happy attitude!